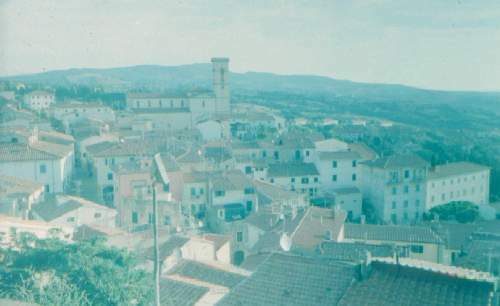 ROSIGNANO MARITTIMO is thought to be named after the Rasinia family who owned the lands in Roman times. The word "Marittimo" ("by the sea") was added only in 1862 to distinguish the town from another one called "Rosignano Monferrato". Situated in the beautiful region of Tuscany, it is the main township of the area and includes the seaside resorts of Castiglioncello and Vada, both popular with Italian holidaymakers. The total population is around 30,000. The Etruscans were thought to have been the first to settle in the area, which was later occupied by the Romans. Though the lands of ROSIGNANO changed hands many times, the rule of the Medici brought stability to the region of Tuscany in general. A stable period, lasting from 1434 - 1737, saw flourishing trade and the rise of Florence and Pisa as cultural centres. Atop the hill on which stands Rosignano Marittimo is a 12th century castle. With its square towers and surrounding walls, it is typical of its time, and dominates the skyline. Today, it houses the Civil Museum and plays a central part in the life of the town. Until the turn of the last century, the inhabitants of the town depended on fishing and farming for their livelihood, but in 1914 the industrialist Ernest Solvay built a large chemical plant to the east of Rosignano Marittimo. This area, known as Rosignano Solvay, is still in the business of producing bicarbonate of soda and caustic soda, and is the town's biggest employer. Apart from this, tourism is very important to the area. Indeed it is reckoned that the population trebles at the height of the season as tourists pour in. With its fine, long beaches and its wooded hill overlooking a crystal sea, it is an attraction to visitors all year round. Click here to find out more about Twinning in Rosignano. 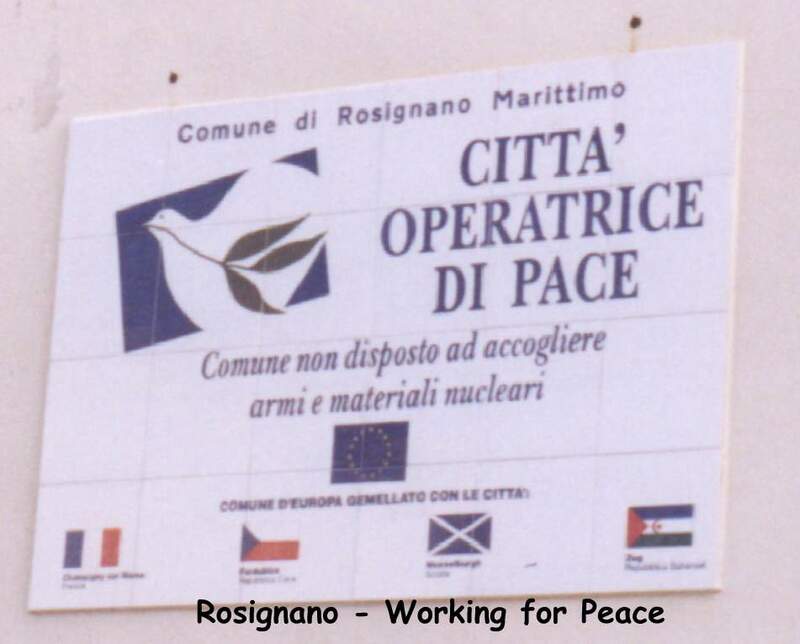 Click here to visit Rosignano Municipal Council's website (in italian).